BTB Plaza - The Transformer Marketplace. BTB Plaza has served as the Marketplace for Transformers since year 2005. Our entrepreneur driven company is known for being quick, flexible and reliable. Our broad experience and our global network of transformer manufacturers and cooperation partners enable us to Buy and Sell new, used and surplus transformers all over the world. Brands: Containerized Transformers, Rental transformers, New & Surplus transformers, Special transformers, Multi-voltage transformers, 50 Hz and 60 Hz solutions. Our rental transformers are built to last in all conditions. They are multi-voltage and suitable for 50 Hz and 60 Hz markets. 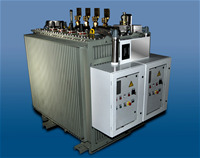 The transformers can be installed into containers or free standing. 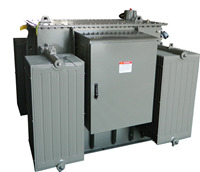 We supply Multi-voltage transformers in 50 Hz and 60 Hz configuration. Voltages according to customer specification and voltage regulation can be off-load or off-circuit motorized or with on-load tap changers. Free standing or in containers. Customized design with several cooling liquid options. Please ask as for an offer, we are happy to help! 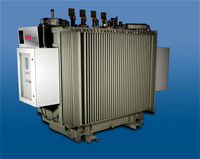 We can supply industrial transformers for converter applications as well as other special industry applications. Please feel free to contact us for an open discussion on how we can support you.